It's time to load up on ammunition for your 2019 golf season! 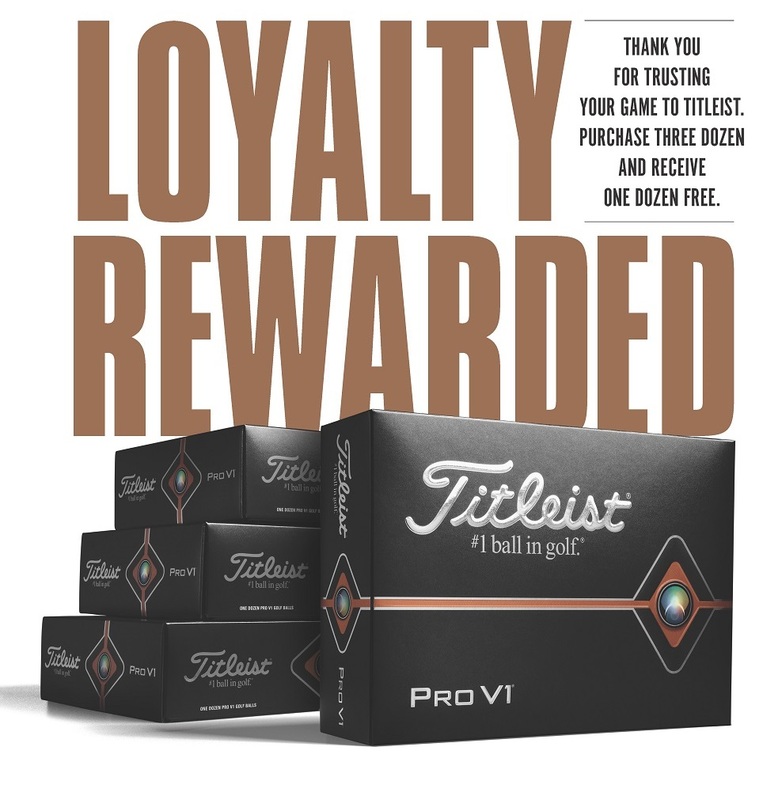 You helped make the Titleist ProV1 and ProV1x the #1 ball in golf and Titleist would like to thank you with LOYALTY REWARDED. Between March 22nd and April 22nd when you purchase 3 dozen ProV1, ProV1x, or AVX golf balls, you will receive a 4th dozen for FREE. This offer also includes FREE personalization! ProV1 dozens MUST be personalized to qualify for the free dozen. 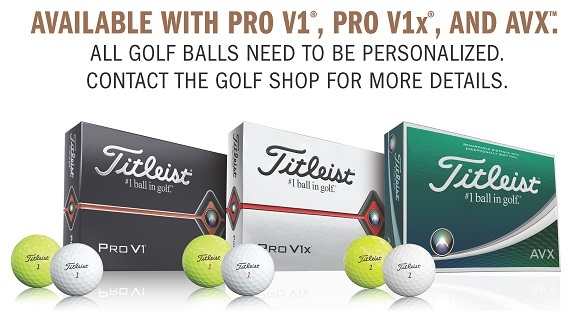 This is a SPECIAL OFFER FROM TITLEIST at a price of $47.99 per dozen. When you purchase 3 dozen personalized golf balls, you'll get the 4th dozen FREE! Available on Pro V1, Pro V1x or AVX. Choose standard play number (1-4) or (5-8). 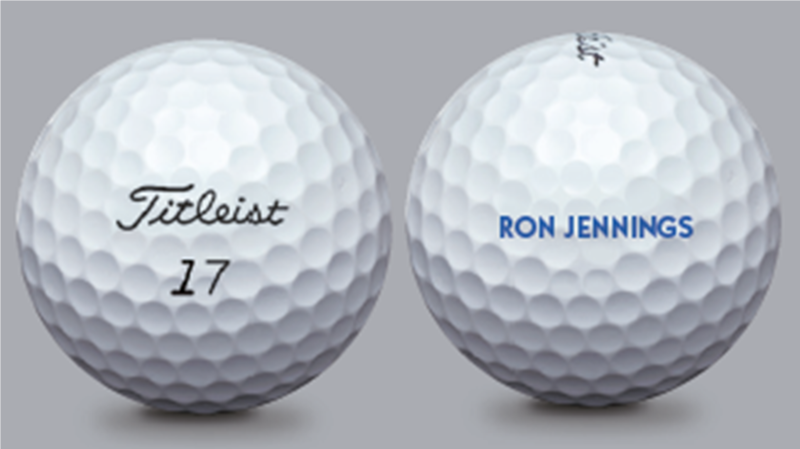 Personalize golf balls with the imprint of your choice at no charge. Available on Pro V1, Pro V1x, or AVX. Choose the same play number (00, 1-99). additional fee may apply. 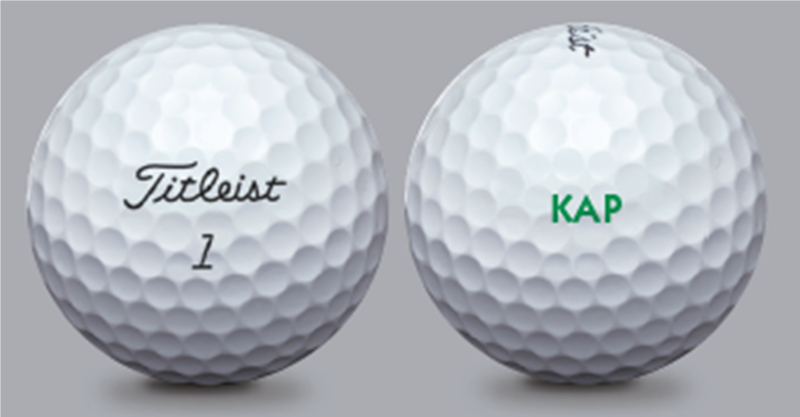 Personalize golf balls with the imprint of your choice at no charge. Available on Pro V1. Choose standard play number (1-4). 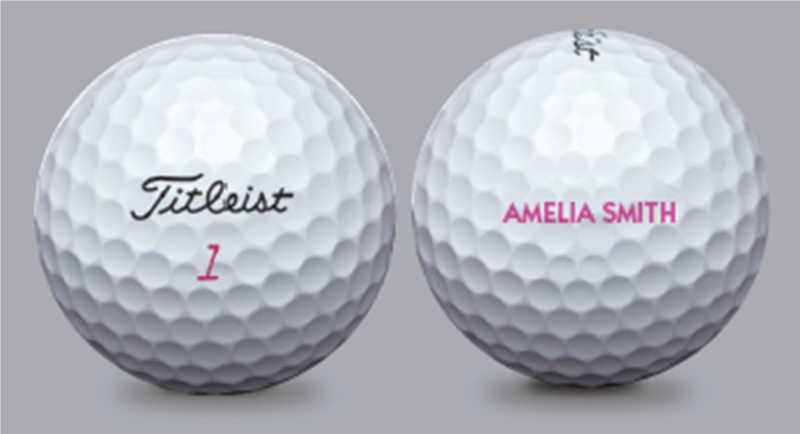 Personalize golf balls with the imprint of your choice at no charge. TAKE ADVANTAGE OF THIS GREAT DEAL TODAY! Delivery is 5 weeks from order placement and orders can be drop shipped to any address in the United States. Domestic shipping only: if you would like to pick up your order at Desert Willow Golf Resort, please detail your request in the check out process of your order. Please contact the golf shop at (760) 346-7060 Ext. 1 for more details. Program window: 3/22/19 – 4/22/19. Limited time offer. Restrictions apply. While supplies last. Limit of 1 free dozen per customer. Lead-time: delivered in 5 weeks. A $1.00 per dozen fee will apply to same play number orders. Shipping charges. A $2.00 per dozen shipping and handling charge will be applied to all dozens. Quantities requested above the program (3+1) will be entered as a separate order subject to standard imprinting and shipping/handling fees based on quantity. ©2019 Acushnet Company.